What is Spousal Support and How Does it Start in Orange County? Spousal Support FAQ: I need help with Permanent Spousal Support in Orange County from a qualified Orange County Alimony Lawyer. One of the big questions that comes up when talking about spousal support in California is - how long does it last? Generally, the receiving spouse wants to receive spousal support for as long as possible, and the paying spouse wants to pay as little spousal support as he or she can. Under the law, spousal support is different in every case. Determining the amount of spousal support that will be paid, which spouse will pay and which spouse will receive it, and how long support payments will be paid for is a complex process and it will vary from couple to couple. How Long Will My Spousal Support Payments Last? Will My Spousal Support Payments Last forever? You may have heard that the length of time that spousal support payments are required is directly correlated to the length of the marriage or registered domestic partnership, but that is not the case. A lot of people think that support payments are required for a length of time equal to half of the length of the marriage - but there is nothing in California law that states this is always the case. Just because two people were married or in a registered domestic partnership for six years does not mean that spousal support payments will be required for three. There is also a false rumor that marriages that last at least 10 years require that spousal support indefinitely or forever. The ten-year rule does not exist in California either. Instead, California law says that in some marriages, or those “of long duration”, the court will retain jurisdiction for an indefinite period following the divorce, unless the spouses or partners agree to forego support altogether. This indefinite jurisdiction allows the court to come back to the support payment and reevaluate their decision as circumstances change and make modifications to the support order. Generally, marriages and registered domestic partnerships that last at least 10 years are considered to be marriages of long duration, and the court will retain jurisdiction over those support orders. Marriages and registered domestic partnerships that last for less than 10 years can also be considered to be of long duration, and the court may choose to retain jurisdiction over those as well, depending on the circumstances surrounding the relationship. Registered domestic partnerships and marriages that are not considered to be of long duration will have shorter termed spousal or partner support orders that may include termination requirements in the terms of the order. They may only last for a set period of time, or they may end when certain situations occur. For example, a support order may terminate when the receiving partner has had sufficient time to obtain gainful employment, whether he or she has done so or not. There is a general rule that says that marriages that are not of long duration will generally require support payments for one half the length of the marriage, but the court’s discretion based on other factors can change this. Other factors can affect the length of spousal support payments as well, and they may leave more control up to the parties involved. If the receiving spouse or partner remarries, has a live in partner, or registers a new domestic partnership, support payments will usually end. In certain cases, a judge may order permanent spousal support. This means that the paying spouse will pay support until one of the spouses dies. Usually, this is only ordered when one spouse or partner is elderly or has health problems, because that usually means that there is no way for the receiving spouse or partner to obtain gainful employment and support him or herself. There are many different situations that can take place relating to spousal support, and no two spousal or partner support orders are the same. If you have questions about how long your support order might last, you can discuss your situation with a qualified attorney, but ultimately, spousal support is determined by a judge. 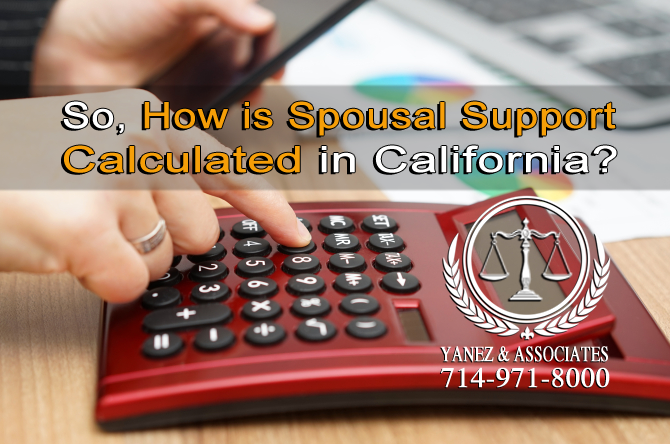 So, How is Spousal Support Calculated in California? How will Spousal Support be Calculated and what will determine how long a spousal support order will last in California? 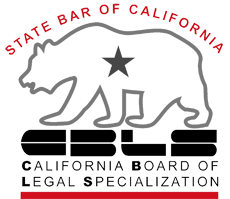 In California, Family Code Section 4320 dictates how spousal and partner support are calculated in California. The factors listed in this section of the family code are considered by the judge when determining how long a spousal support order will last, as well as how much will be paid and by whom. The first thing that is considered is the earning capacity of both parties. How much does each party currently earn? How much could they potentially be earning with their current training and education? How soon can they increase the level of training and education to meet a standard that allows them to obtain employment sufficient to support a standard of living similar to what they are used to? The judge will also consider the current job market, the cost of obtaining training or education, and other factors. These questions can affect how long spousal support will last in several ways. If both spouses currently have high paying positions that will support the lifestyle they are used to, support payments may not be necessary. If one partner or spouse has the potential to get a job that could support his or her lifestyle, but currently does not have one, how long will it take that person to obtain a sufficient job? Or, if one partner or spouse could obtain a job with additional training or education, perhaps support payments will need to be made until that party has had enough time to obtain the appropriate training and education and to find a job. The length of time that spousal support or partner support payments need to be made will also be affected by other factors. What if one party took time away from a promising career in order to support the other spouse or partner in his or her career, education, or training? This might leave that spouse at a disadvantage following a divorce or legal separation, and spousal support might be awarded for a longer period of time in order to make up for it. The length of the marriage or registered domestic partnership is considered in determining spousal and partner support. Any history of domestic violence or abuse that has been documented can also affect spousal or partner support. This can include any violence or abuse between the spouses or partners, or any violence or abuse that has been documented against a child of either party. Violence and abuse can also include things like emotional distress that results from domestic violence or abuse. A court may lower support payments to an abuser or increase payments to a victim depending on these factors and any residual or continuing pain and suffering. Other factors that are included in determining spousal and partner support include the following. • Other factors that the judge wishes to consider, or special circumstances that can affect unique situations and relationships. What Kinds of Spousal Support Exist in California? What kind of spousal support can I ask for in California? 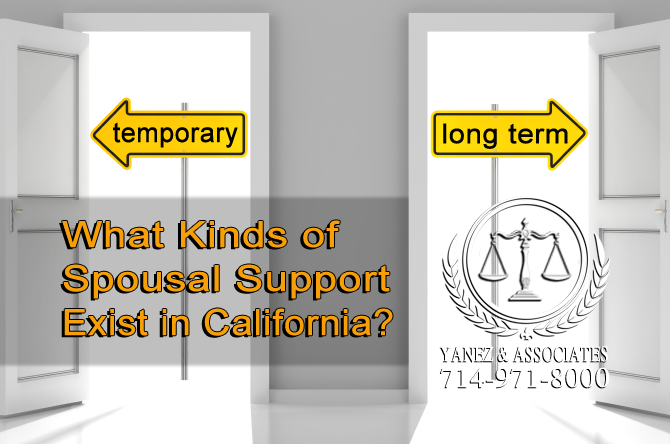 In California, there are two ways to ask for spousal support: temporarily and long term. Most of what we have discussed in this post has been about long-term spousal or partner support, which may also be granted permanently. Temporary spousal support is usually what one party will ask for during an open court case, especially a divorce, legal separation, or domestic violence restraining order case. It allows both parties to ensure that they have the financial support they need even before a case is finalized, and that one party does not have all control over shared finances. In fact, it might be one of the most important things to put into place immediately, considering that we all need money every day. Have questions for an Orange County Spousal Support and Partner Support Attorney? If you have questions about how long your spousal or partner support order will last, or about how to obtain temporary spousal or partner support during your trial, you should contact an attorney as soon as possible. While exact answers aren’t available until your case has gone to the court, your lawyer will be able to help you understand how the law applies to your situation, and how you can prepare yourself for a spousal support case. Contact the lawyers at Yanez & Associates today to schedule a free initial consultation with a skilled family law attorney. 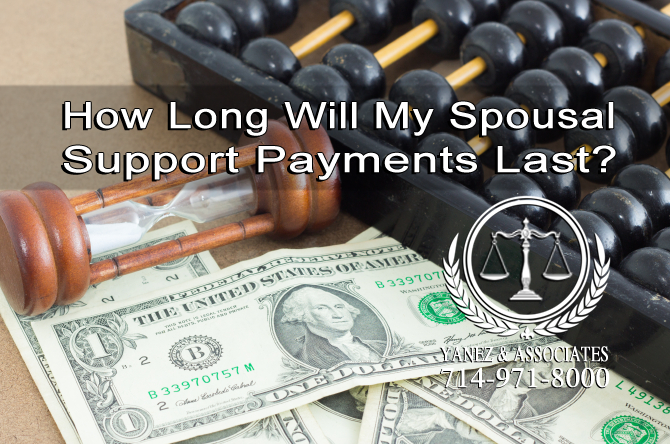 2 How Long Will My Spousal Support Payments Last? 3 So, How is Spousal Support Calculated in California? 4 What Kinds of Spousal Support Exist in California? California Alimony Payments, California Divorce Alimony Laws, Help with Permanent Spousal Support in Orange County, How is Alimony Calculated in California?, How is Spousal Support Calculated in California?, How Long Will My Spousal Support Payments Last?, Orange County Spousal Support and Partner Support Attorney, Orange County Spousal Support Lawyers, Spousal Support, Spousal Support FAQs, Understanding California Spousal Support Guidelines, What Kinds of Spousal Support Exist in California?